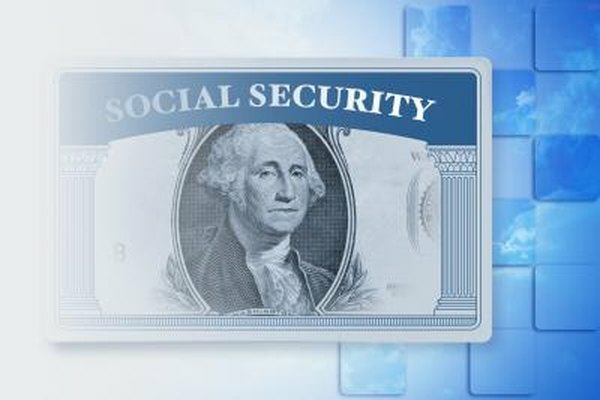 Social security benefits help spouses survive. 1. How Long Do You Have to Be Married to Get Social Security if Your Spouse Is 66 and Retired? The Social Security Administration has been providing benefits to survivors and dependents of insured workers since 1939. A worker qualifies for benefits by working at least 10 years and earning 40 credits toward those benefits. The spouse of an insured worker can gain access to Social Security benefits once her spouse has fulfilled the requirements for eligibility. The spouse of an insured worker becomes eligible for Social Security retirement benefits once the insured worker turns 62. The working spouse does not have to retire for their nonworking spouse to claim this benefit. Between the age of 62 and full retirement, the benefit will be a fraction of what it would be at full retirement. This fraction is calculated by how many months are left before the nonworking spouse reaches full retirement age. Full retirement age is 65 for those born before 1937 and increases by two months each year for those born between 1938 and 1959. Those born in 1960 or later reach full retirement age at 67. At full retirement age, the spouse can receive upward of 50 percent of the monthly benefit amount of the insured worker. An insured worker who is injured or becomes seriously ill may qualify for disability payments. The injury or illness must be severe enough to prevent the person from working for at least a continuous 12-month period or will result in their death. The spouse can receive disability payments if she is over the age of 62 or is caring for a child of the insured worker that is either under the age of 16 or disabled. The spouse is eligible to receive a monthly payment equal to 50 percent of the disabled worker’s monthly payment. The Social Security administration will suspend the 40-credit rule if the working spouse dies before he is able to achieve this requirement to provide a surviving spouse under the age of 62 with a source of income. For a surviving spouse to qualify for survivor benefits, the deceased spouse must have earned at least six credits in the previous three years. The surviving spouse must also be caring for at least one surviving child under the age of 16 or a child who is disabled. The benefit amount is 75 percent of the amount the deceased spouse would have received if he had lived. Spouses over the age of 62 can receive anywhere from 71½ percent to 99 percent if below full retirement age. Surviving spouses who have reached full retirement age can receive 100 percent of the benefit. Social Security does not provide any direct benefits to caregivers of elderly or adult disabled people on Social Security. Benefits might be available through state and local social service agencies. The caregivers of surviving children under the age of 16, or of disabled children, who exercise parental control over the children, can receive a benefit to continue caring for the children. The benefit amount is 50 percent of the benefit the deceased parent would have received if he did not die.